A couple of months ago I heard about a dog-centric film festival – The Bow Wow Film Festival. 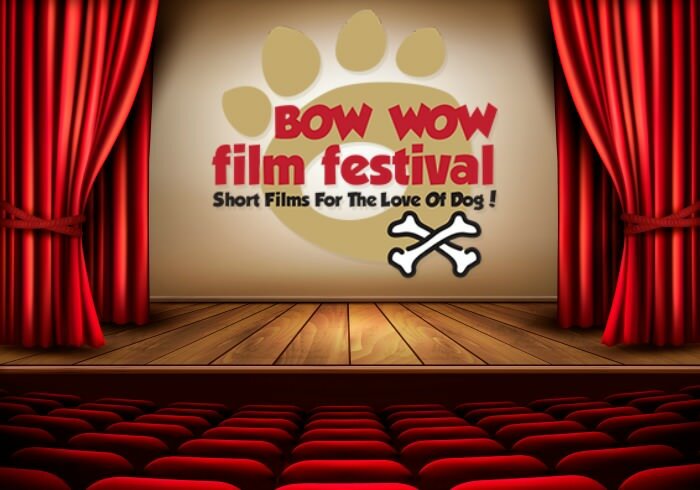 Conceived in 2014, Bow Wow Film Fest has quickly become the premier traveling dog film festival in the US. Depending on the venue, you can even bring your dog to some of the shows. Whether your furry friend can join you or not, the festival is amazing because it completely revolves around dogs – he movies feature dogs and the film festival benefits dogs. These movies are right up our (my) alley too. The films in the festival range from outdoor-adventure focused stories, touching stories, funny stories and skits, and stories about our relationship with pets. The festival features about 90 minutes of lovingly curated, fun filled and delightful dog-centric short films. I first heard of this festival in 2016 and was hooked when I saw the sneak-peek at all of the films in the trailer below. The one that especially caught my eye is basically a ski movie with a dog. Umm… more please! Another one of the films – PULL – is a short documentary film that delves into reflections on journeying the cold Northern Canadian landscape by dog sled. Another is Savor – a film about the inner secret that dogs and cats seem to possess when it comes to enjoying life. Those films were from a previous festival but the Bow Wow Film Festival folks work hard to create an awesome new lineup every season. You can check out the current schedule and tour dates HERE. Currently, the only show scheduled for 2019 is on January 26 in Boulder, CO at the The Dairy Center For The Arts. They’ll be adding new shows for the 2019 season though so be sure to keep your eyes on their Facebook page events schedule. If you know an animal rescue that might like to host this film festival as part of their fund-raising efforts, have them check out THIS PAGE. If you have created a film about dogs, or the human-animal bond, that you think might be a good fit for this festival, you can submit your movie HERE. We sure wish the Bow Wow Film Festival came through Canada. Thank you Jessica, Chester & Gretel for sharing this hot diggity dog event. We are going to share it with our readers also. If you get it to come to Seattle I will totally be there. Looks like I missed it this year in AZ. Will keep my eye on the schedule. Tyank you!